It's a WIP, the final mudokons will have dreadlocks. As a shout out to the 90s, some Mudokons will also have curtained hair. It's a fair question. Shut yer jokin', all of y'all. You're just pissed because you can't grow dreadlocks. All Mudokons will now have Jewfros. As far as I'm aware it's the finished thing. Not sure why, though. Even though that doesn't make much sense because given the games general set up it should be obvious which one is Abe the entire time. ....I do too now, kinda. Hm...in Munch, the native and more shamanistic Muds had more feathers than the enslaved and newly liberated Muds. That's actually a really cool visual metaphor now that I think about it. Freedom, feathers, birds, flight, all that stuff...anyway, if they decided the feathers were symbolic of a Mudokon's spirituality, it would kind of make sense to go back and make Abe the only one in the factory who had some, since he's the one who winds up being able to tap into his traditional Mudokon mind powers and save them all. Course it could all be just a goof, but I like to over think things. I hate going to the barber's. Maybe Abe hates going also. Well, what kind of barber shop would Rupture Farms have? 'We take a little off the top...of your neck'. I wouldn't blame him. OR maybe it should be left the way it was. I don't see the point in such an unnecessary change. Suppose I could ask another question. 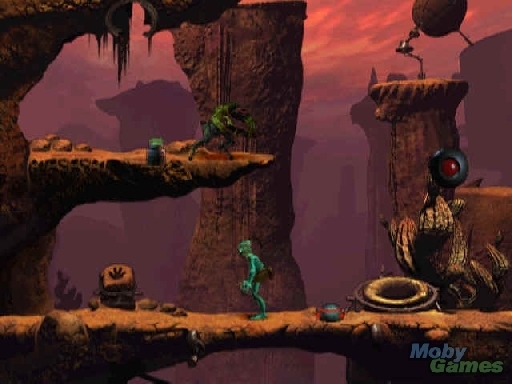 In Abe's Oddysee, how long is Abe gone from Rupture Farms before he comes back? Your second trip through the free fire zone, there are a lot more bombs and mines. Obviously, the developers wanted the trip back to be harder than the trip forward, but the new setup makes it feel like a significant amount of time has passed since Abe left. So...can we get a ballpark estimate on how long it took Abe to complete the trials and make his way back to the processing plant? Days, weeks, months? They have multiple suns in their solar system, right? What do they consider "a day"? I don't think they have more than one sun. Are you maybe thinking about the number of Oddworldian moons? Why is it that explosive mines seem to vary in color, I think, depending on the platform you play it on? Here they seem to be sort of grey/black. But here it seems more blue. Is this due to some kind of old technical limitations? I always assumed technical limitations were the case. 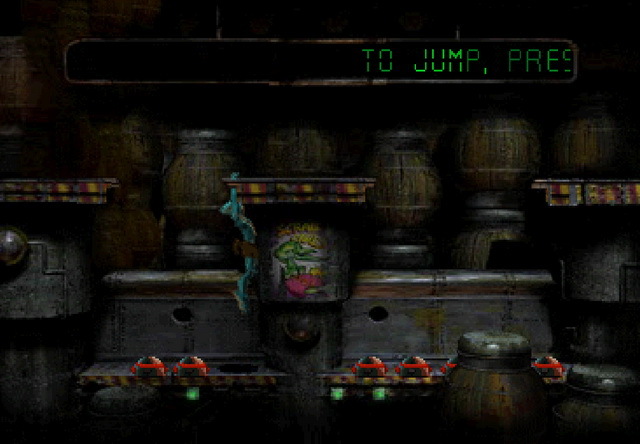 Rayman had some similar weirdness with the tings on the console versions vs the PC version. It might intentional, to reflect different environment lighting. I don't think so, because on my PC version, all the mines look just as blue as the ones in the second screen, regardless of area. Except in shadows obviously. I think the mines are the wrong colour. After playing AO on the PS1 for 8 years, seeing those mines on the PC absolutely threw me.